We are gathering in DC in July – Come Add Your Voice to the Call to Protect Children from the Indian Child Welfare Act! While said to have been established with good intentions, the ICWA has frequently hurt families and their children of Native American heritage. Federal dollars are being used to support adherence to this law; however in many cases, the law is destroying loving, stable families. Though proponents of ICWA argue that the act has safeguards to prevent misuse, numerous multi-racial children have been affected by it. Children who have never been near a reservation nor involved in tribal customs have been removed from homes they love and placed with strangers chosen by Social Services. Other children have been denied the security of stable home life in preference for a series of foster homes. — 1) Equal opportunities for adoption, safety and stability are not always available to children of all heritages. — 2) Some families, Indian and non-Indian, have felt threatened by tribal government. Some have had to mortgage homes and endure lengthy legal processes to protect their children. — 3) Some Children have been removed from safe, loving homes and placed into dangerous situations. Johnston Moore, national speaker, adoptive and foster care father, and advocate about adoption and foster care. He has personally battled ICWA and can speak from personal experience regarding his two sons. Participants meet one-on-one with Congressional Offices. For more information – please contact us at CAICW.org! 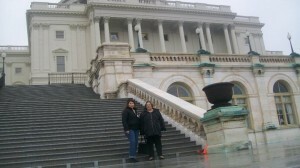 No user commented in " Join Us in DC JULY 11 to Change ICWA! "